This exhibition took place September 6, 2018 - October 6, 2018 in Minneapolis, MN and featured work and collaborations with Courtney Reid-Eaton (curator), Sista Docta Alexis Pauline Gumbs, Anne Wallace, Rev. Waylon R. Wallace. We celebrated the republication of Pauli Murray’s book Dark Testament and other poems, a poetic work about identity, democracy, and possibility, with a new introduction by Elizabeth Alexander! 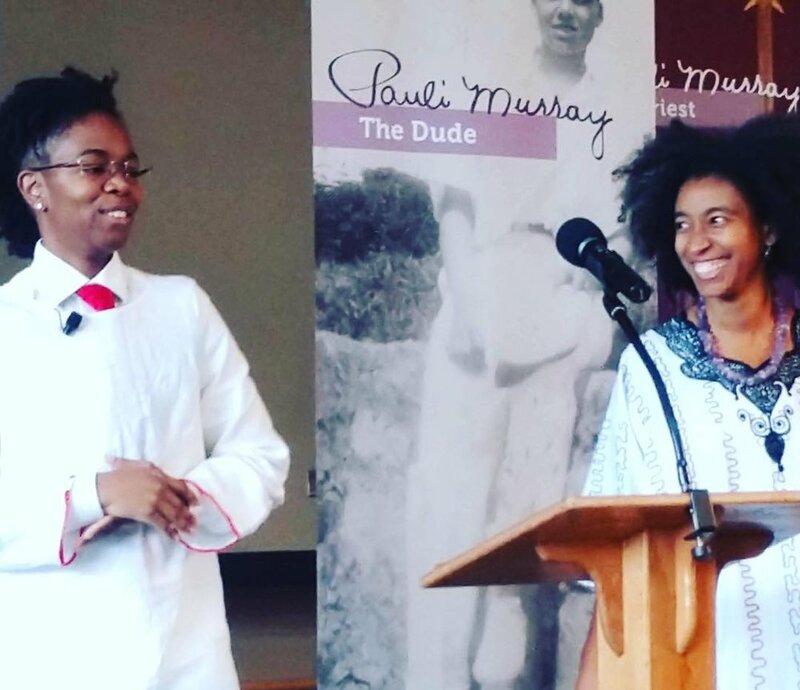 The event highlighted Black trans and gender fluid/non-binary/non-conforming visionaries and other community members committed to the transformation that Pauli Murray’s poetic life makes possible. It was held Sunday, October 14, 2018 at Lyon Park Community Center (Wheelchair Accessible) in Durham, NC. Sponsored by the Pauli Murray Center for History and Social Justice and the Pauli Murray Project at the Duke Human Rights Center/FHI [this language can be represented by logos and not written out] in partnership with the Mobile Homecoming Trust and Transforming Hearts Collective.